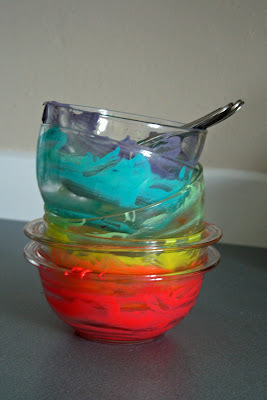 Then I divided it up into equal portions and tinted each bowl with gel coloring--it is more concentrated than regular food coloring. I bought mine in the cake decorating section at Michael's. I think it usually is used to tint icing. 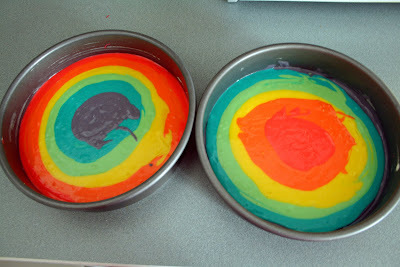 Then I started adding the colors to my round cake pans. 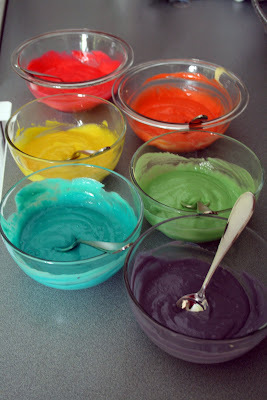 Here is where I realized I should have doubled my cake recipe...there really wasn't quite enough of each color. Then I baked, frosted, and sprinkled with random Mickey Mouse sprinkles that I had in my cupboard. My little ones were thrilled to have cake on a non-birthday day...and even more thrilled to realize it was rainbow colors!! 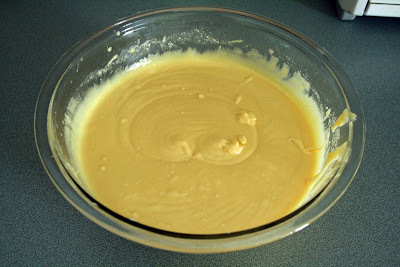 See, it would have been even better if my layers were thicker...I'll have to remember that for next school year! 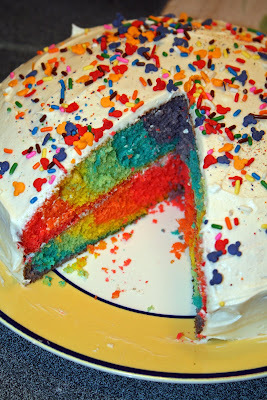 This thread was my inspiration--lots of rainbow cakes to be found! 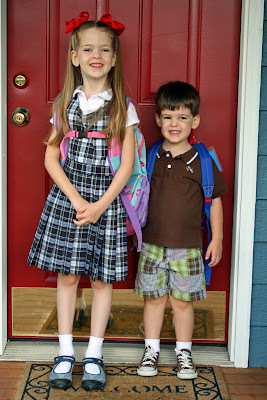 My babies celebrated their first days of school at the beginning of September. It has been quite an adjustment getting used to commuting to school. I'm now driving 2+ hours a day to get them to school. Ugh! First up was my baby boy. 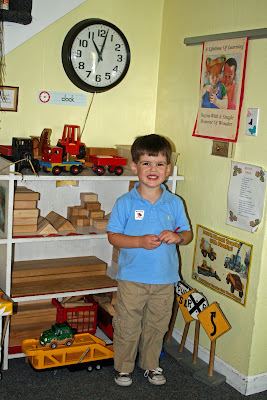 He is attending preschool for the first time. Twice a week, just in the morning...he loves it! 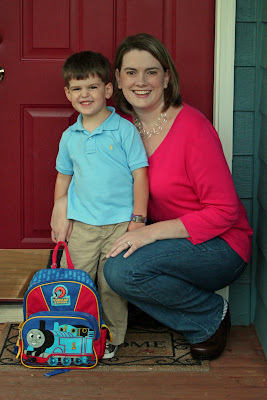 I just can't believe he's old enough for preschool! I'm kind of still in denial about it. This is a new preschool for us and it is just down the road from my daughter's school. Her preschool wasn't willing to deal with my little boy's nut allergy. Luckily this other preschool is working hard to keep my baby safe! 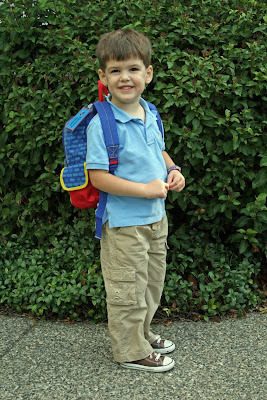 Yes, he loved his first day! No tears or anything! 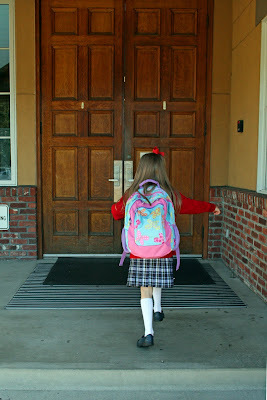 Next up, Princess had her first day of kindergarten. 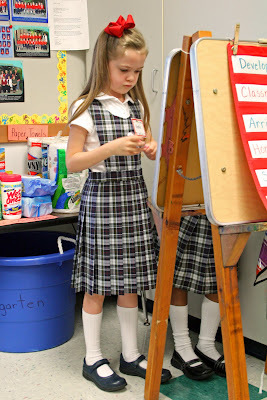 She is attending Catholic school and looooves her uniform! Really loves it! She was dancing around the uniform store when we bought the jumpers and sweaters--the older girls were looking at her like she was crazy! 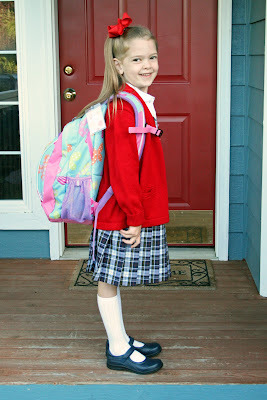 Yes, she was excited for school!! My baby girl is getting so big!! Heading in for the first time as an official student!! 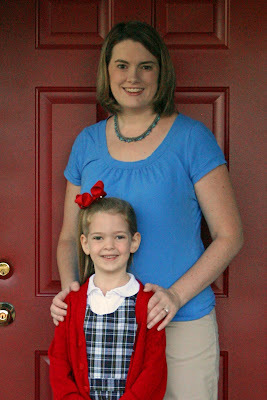 Her first day of school was a two hour orientation and parents were allowed to attend. Since then, parents haven't been allowed in the classroom! 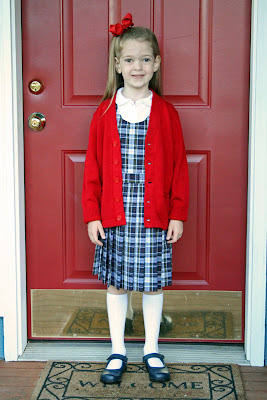 She's in all day kindergarten and loving it! She cried on the first regular day and since then she's been fine. 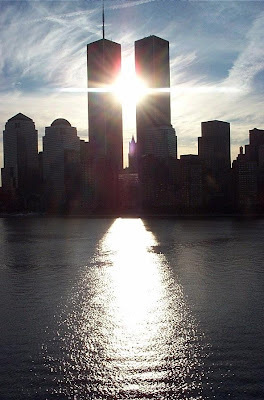 9/11 -- a date I will never forget. My flag flies in the honor of the victims of this devastating day in American history.